And It Came to Pass- featured a series of large-scale works which demonstrating a continued preoccupation with the traditions of collaged paper constructs. Using extracts of magazines to depict flesh and the abstracted body these fragments were layered beneath carefully cut replications of cloth and cloaked forms. These figurations, sourced from Gustav Dore’s illustrations from The Bible, envelop the flesh tones in a series of caged contours. 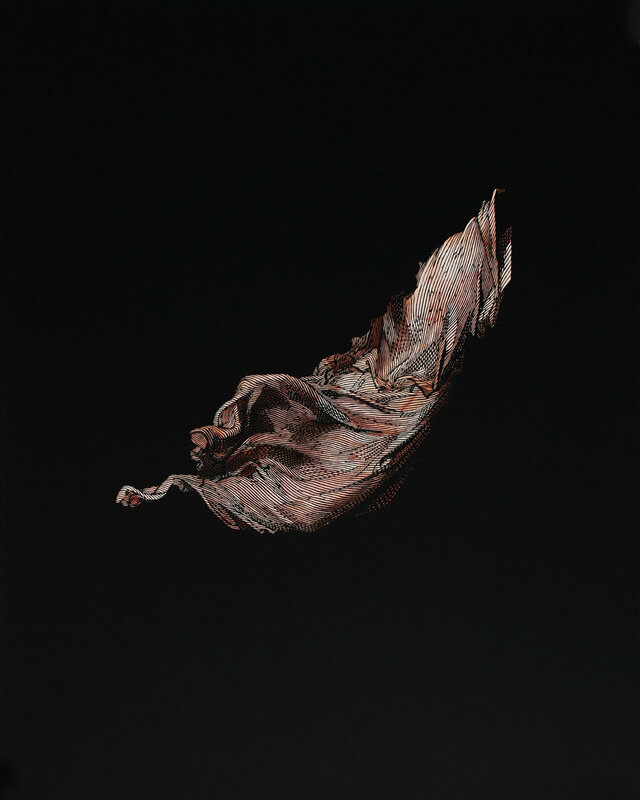 The simple folds of cloth, magnified and isolated, are seen grappling with the forms beneath them. The works, whilst they resist anatomical labelling, have an abstract sexual charge, less clearly referential than previous works, they instead emphasise that which is simultaneously hidden and revealed. and in no wise and slay it strips the two prostitutes facing King Solomon of their surrounds and leaves the viewer with the emotional truth of the mother watching her baby threatened with death. This simple language was repeated in a series of small drawings which played with returning the hard lines of the engravings to the three dimensional representation in pencil and blending. 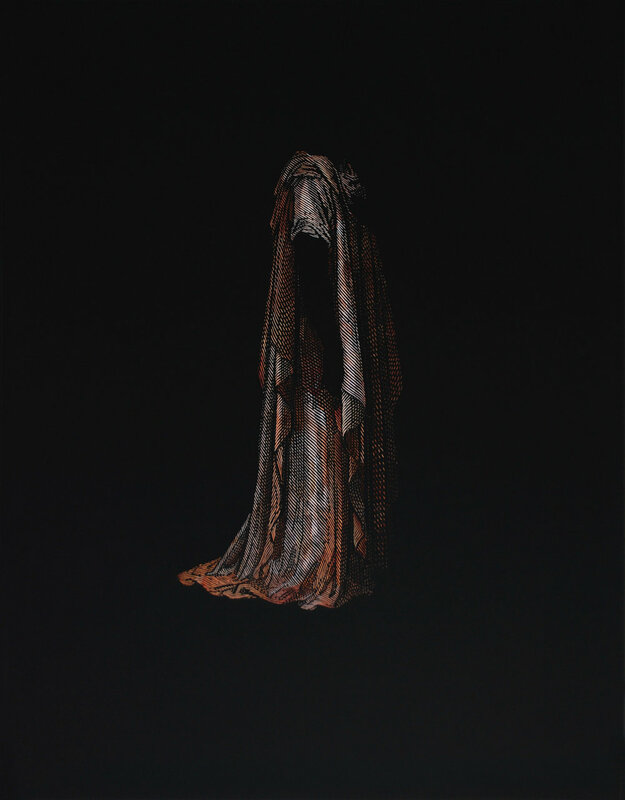 An exercise of sorts, in a recognisable format of drapery drawings that still carry their emotional surrounds and scenario.